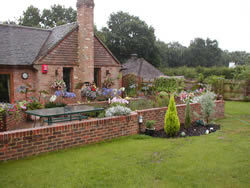 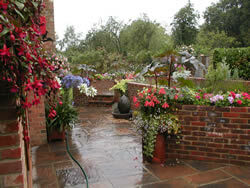 An example of a terraced garden. 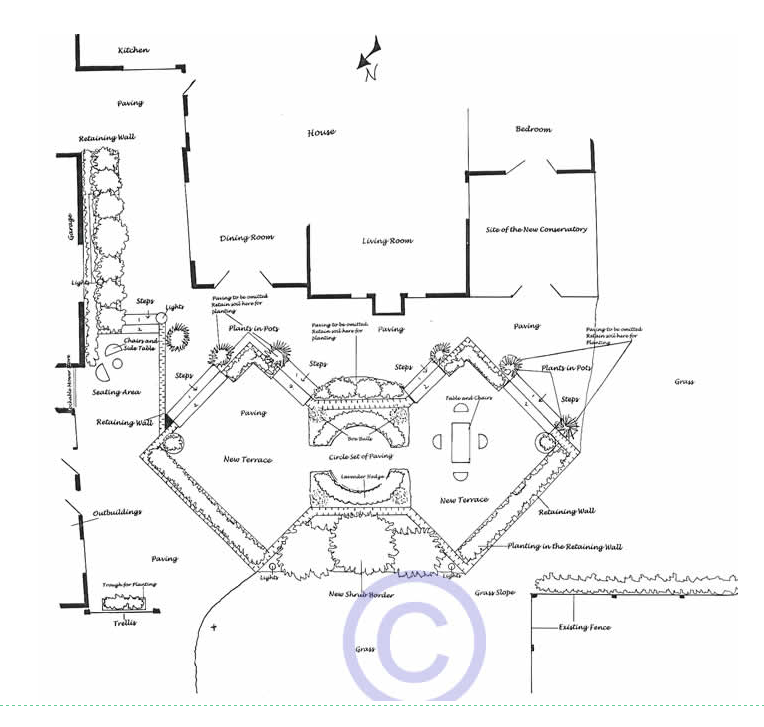 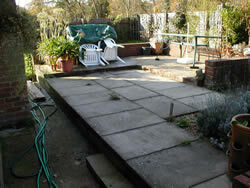 This garden had a terrace built far too close to the house. 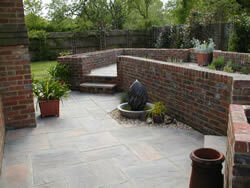 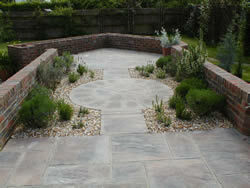 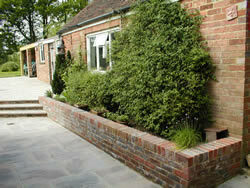 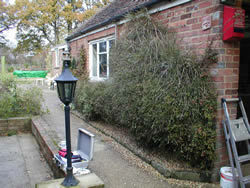 Being the sunniest part of the garden it was essential to echo the existing hard landscaping in a more imaginative way.